Currently 589 visitors online at SuggestADoctor.com. Dr Elmer is a fantastic dr. He cares about you as a person. He doesn't rush to do surgery either. He helps you weigh out all of your options. Is this Review about James Curtis ELMER helpful to you? I am a surgical nurse and did extensive research to pick the cataract surgeon for my parents. Both were recently performed at the Blue Bell Surgery Center by Dr Francis Clark. The staff in the office and center were outstanding. I can appreciate a surgeon who is very skilled and competent yet conservative, non pushy, patient, compassionate. Is this Review about Francis J CLARK helpful to you? As a person prone to injuries, it's nice to have an orthopedician that you trust. I've seen Dr. Catalano for a myriad of stupid things I've done to my body. Whether it's a new injury, or an issue that requires ongoing care, Dr. Catalano and his staff are top notch. 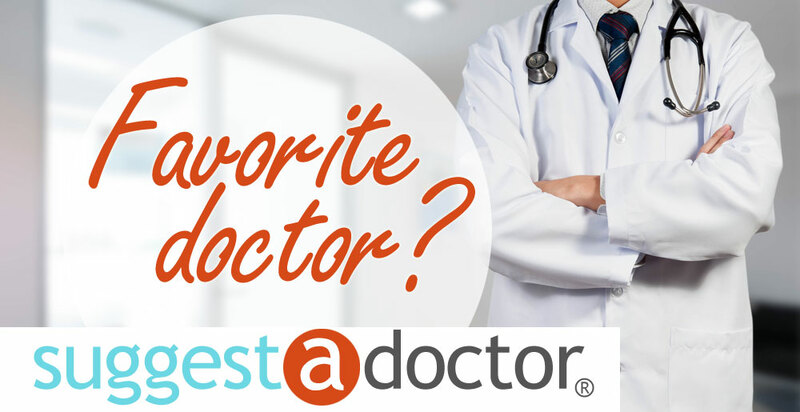 Dr. Catalano remembers your name, and your interests and spends time with you as a patient, and as a person as well. It's usually easy to get an appointment, as there are multiple locations, and 99% of the time, he's on time with very little wait. Best in class. Is this Review about John CATALANO helpful to you? Awesome doctor and equally awesome person. Dr. Vega and I worked through quite a bit regarding some issues I was having. We followed a roadmap from least invasive to invasive treatments. I never felt pressured, and always felt like I could reach out with questions. Is this Review about Vivian VEGA helpful to you? Dr. Crouch delivered two of my baby's and he was wonderful! I miss him so much here in Rexburg! I loved his bedside manner! I loved that he treated us like a team! He is just such a good guy and a great doctor! Which from someone who doesn't like very many MDs is a massive compliment! Payson truly got someone special! Is this Review about Max J CROUCH helpful to you? Dr. Kevin J. Cross aims to individualize treatment plans for each of his patients. He offers several cosmetic surgeries at his practice including breast surgery, body surgery, injectables and more. Is this Review about Kevin CROSS helpful to you? Dr Kakani is very thorough, explains the exam and is reassurin, he helped me many years ago and he has a great bedside manner. I highly recommend him. i received the robotic hysterectomy and this doctor was the only specialist that could figure out my pain that i was having for a whole year after surgery i have had no pain whatsoever from my condition. i had endometriosis and post ablation syndrome. this doctor will always be highly recommended for this type of surgery. Is this Review about Ali GHOMI helpful to you? Dr. Gargiulo on June 14th 2017 removed 7 fibroids through robotic surgery ( 3 of them were 7 cm diameter). Few facts: -4 days later I went back to work -minimal scars. -July 14 2017 I ran half marathon -my belly is finally flat and all my symptoms (constipation and bloating) are gone. The process was smooth and going into surgery was almost like getting into a Spa. Everyone was nice and professional. Pain lasts 3-4 days and it is fully controlled by painkillers (day 1 and 2) and antinflammatory drugs (day 3-4). I highly recommend him to anyone. Is this Review about Antonio GARGIULO helpful to you? My brother had multiple keloids removed here and I have seen the great work you guys have done first hand. My only issue is when you need someone its kind of dificult to get in contact with them. But I am happy I have the patient advocates contact information moving forward. Dr.Lionberger has a wonderful bedside manner. Staff is very thorough in explaining in detail everything including Dr. Lionberger. Recommendations on the best outcome possible., with aides the wedge, ice compression. At first seemed to be in a rush. Is this Review about David R LIONBERGER helpful to you? Good people, good service, I have already recommended to my friends and relatives. Dr. Rees is an amazing doctor. All the doctors in the clinic where he works are amazing. But when it was time for me to get a hysterectomy I was so nervous and he made me feel so much better. He answered every question I had and made sure I was great before and after my surgery. He is always very cheerful and funny but very professional. I would recommend him to anyone who is in need of a great doctor. Is this Review about Steve REES helpful to you? This doctor explains everything and makes a patient feel really comfortable about services provided. I needed surgery and had lots of questions. He was very patient and willing to listen to all of my questions. His bedside manner is awesome. He is very kind and also has an after hours number if I need to get in touch with him. This doctor has over 40 years experience and knows how to handle rare conditions. This doctor specializes in gynecology and fertility. Friendly, professional, courteous, trustworthy,and competent in making diagnosis and working with patient to determine plan of care. He and his team did a great job. I am a very satisfied patient! I highly recommend this doctor. Is this Review about Myron E. MOOREHEAD helpful to you? Dr Baily is very kind and thurough. He listens to his patients concerns and works with them to reach thr best possible outcom. The entire office staff are very helpful amd there if you need anytjing or have questions. Hes an obgyn. Is this Review about Joel BAILEY helpful to you? Dr Baily is very kind and thurough. He listens to his patients concerns and works with them to reach thr best possible outcom. The entire office staff are very helpful amd there if you need anytjing or have questions. Dr. Preston was empathetic, thorough and considerate while professionally diagnosing and surgically treating stress incontinence. Is this Review about Mark PRESTON helpful to you? Dr Rivera is an ob/gyn in Manatee County with hospital privileges at Manatee Memorial. He performed my hysterectomy and previously a laparoscopy. He also performed my daughter's c-section. He is always smiling and cheerful. He is an excellent doctor and surgeon who actually listens to the patient. Is this Review about Wilfredo RIVERA helpful to you? Dr. Raz performed surgery on me and he removed 100% of a mesh I had since 2010. He is one of the best doctors that's capable of removing the mesh completely. Dr. Raz listens to you and is very compassionate, he has wonderful bedside manners. I highly recommend this doctor. Is this Review about Shlomo RAZ helpful to you? Dr. Francis Clark and his entire staff exude excellence in their dealings with their patients. They perform well when it comes to meeting your specific eye prblems. I wish Dr Clark could take care of all of my medical problems. I receive timely follow up calls from the doctor at all times showing concern for my health and well being.